Neuroscience Bulletin, the official journal of the Chinese Neuroscience Society, is published bimonthly by Shanghai Institutes for Biological Sciences, the Chinese Academy of Sciences, and Springer. Neuroscience Bulletin, which is included in the Science Citation Index, aims to publish advances in the field of neuroscience and promote the exchange of scientific ideas within the community. The journal publishes original papers on various topics in neuroscience and focuses on the implications for diseases of the nervous system. Neuroscience Bulletin welcomes research contributions on molecular, cellular, or developmental neuroscience using multidisciplinary approaches and functional strategies. We feature full-length Original Articles, Reviews, Insights, Methods, Letters to the Editor, and Research Highlights. Manuscripts should be submitted through our online submission system, ScholarOne Manuscripts, at http://mc03.manuscriptcentral.com/nsb or http://www.neurosci.cn. You need to CREATE your own account (USER ID and PASSWORD) the first time you use this system. Then LOG ON to the server using your USER ID and PASSWORD, and submit your manuscript according to the instructions provided. If you forget your USER ID or PASSWORD, please use the PASSWORD HELP, and enter your e-mail address to receive an e-mail with your account information. 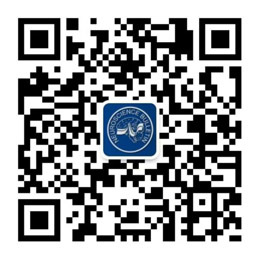 If you cannot access the online system or have any problems with online submission, please contact the Editorial Office at nsb@sibs.ac.cn. The manuscript file types that we accept for online submission are Word, WordPerfect, and TXT. For Figure submission, we accept JPEG, TIFF, and AI files. Required items differ for each article type and are specified during the submission process. The submitted manuscript should be accompanied by a signed “ Neuroscience Bulletin copyright transfer statement and submission form ” stating that all the work is original, has not been published previously, and is not under consideration for publication elsewhere. The corresponding author responsible for the originality, legality and validity of the work must sign the form. Authors can refer to a recent issue of Neuroscience Bulletin to view the general layout. The entire manuscript text should be double-spaced in 12-point Times New Roman font. All pages should be numbered consecutively. Abbreviations should be kept to a minimum. All abbreviations should be accompanied by their full names on their first appearance in the text, in parentheses. All quantities and units should be expressed according to international standards, and SI units must be used throughout. When an Arabic number precedes an SI unit, the unit symbol should be used rather than its full name, such as 2 s (two seconds), 2 min (2 minutes), 2 h (two hours), and 2 d (two days). Symbols are not followed by a period (e.g., min, not min.). Gene symbols should be italicized; protein products of the loci are not italicized. Nonstandard abbreviations should be defined when first used in the text. The use of abbreviations should be kept to a minimum. Manuscripts must be written in clear and concise English and be intelligible to a broad readership. Prior to submission, authors may benefit from having their manuscript reviewed for clarity by colleagues and/or by using one of the many English language-editing services. All other types of articles including Correspondence can also be considered upon enquiry. The article type should be specified in the author’s cover letter. Please note that Neuroscience Bulletin publishes high-quality research articles as the major content of the journal. Short reports and articles in other formats are only considered if the work provides a major breakthrough. The number of these other articles is limited in each issue. An original article contains original research material and presents compelling data on conceptual advances in any area of neuroscience. The total character count for all sections of the main text (including references and figure legends but excluding supplemental data) should not exceed 80,000, including spaces. Up to 8 figures and/or tables are allowed for the entire manuscript. The minimum requirement for a research article is 40,000 characters in total (or 5000 words excluding the references) and at least 6 display items (figures and tables). The submitted manuscript should be a substantial novel research study in any aspect of neuroscience, organized into a complete story with the mechanism(s) elucidated using multiple techniques or approaches. It should provide mechanistic insights into a particular aspect of neuroscience. Neuroscience Bulletin also welcomes clinical research investigating the pathogenesis or diagnostic markers of a disease. Please note that for clinical trials, the Informed Consent form should be provided as supplemental material and its use stated in the main text. Neuroscience Bulletin no long accepts clinical research that lacks insightful mechanistic implications. References are limited to 100. Authoritative reviews contribute greatly to our journal and we are interested in comprehensive, well-written articles that describe cutting-edge developments in any field of neuroscience for a general audience. Authors are expected to cover controversies in the field and propose their own viewpoints in an unbiased and justifiable way. In particular, the review should not be dominated by the authors’ own work. Review is usually 30,000 to 50,000 characters in length (including an abstract of no more than 150 words, excluding the references and title) and 3-6 schematic illustrations are strongly encouraged. Reviews are often contributed by leaders in the field and solicited by the editors. Authors are encouraged to submit a letter of inquiry before submission. The Letter to the Editor reports a short but exciting finding of high quality and broad interest in a particular field of neuroscience. The letter should be brief and concise; no specific subsections are required. No Materials and Methods section is needed, but any technical information which the authors think is important should be submitted as supplementary materials. The total characters in the main text should not exceed 15,000 (exclude references and title) and the display items should be limited to 2. References are limited to 15. No abstract is needed. Peer-review of this type of submission can be completed within 2 weeks. The Research Highlight describes exciting research advances based on a recently published breakthrough. It highlights the main results of the research, emphasizes its importance, and provides further discussion or commentary on the topic. The main text of a Research Highlight is up to 10,000 characters (excluding references and title) with no more than 10 references and one or two figures. No abstract and subsections are needed. Peer-review of this type of submission can be completed within 2 weeks. For an Insight, the article should contain discussion of recent primary research literature similar to a Review. But the main text of an Insight is shorter (no more than 15,000 characters, excluding references and title) and has a narrower focus. It is possible that in an Insight authors advocate a position over a controversial issue or a speculative hypothesis. One schematic illustration is allowed to make the Insight more comprehensive. References are limited to 20. Peer-review of this type of submission can be completed within 2 weeks. Neuroscience Bulletin welcomes Method articles on novel experimental techniques in any area of basic neuroscience. The Method can be written in the Research Article format while the content should follow the criteria described below. The description of the method must be accompanied by its validation, its application to an important biological question, and results illustrating its performance in comparison to available approaches. The manuscript will be judged on its novelty and general interest, through assessments of performance and comprehensive technical descriptions that facilitate immediate application. The detailed step-by-step procedure must be described in the form of flow charts for readers easily to comprehend. Additional annotation for key procedures and special treatments are encouraged. In addition, please note that Neuroscience Bulletin no longer accepts Method papers on neurosurgery, surgical techniques, or any other clinically-related technical studies. The title page includes a full title that is short, informative, and does not contain abbreviations. The names and affiliations of all authors should be listed. The complete address for correspondence with postal code, as well as email, and phone and fax numbers should also be included. A running title of less than 50 characters including spaces should be listed here and the authors should provide 3 to 8 keywords separated by semicolons. The Abstract should be a single paragraph of no more than 150 words. It should summarize key research findings in the manuscript using concise English. It should also be comprehensible to readers before they have read the paper. Abbreviations should be avoided (as for the title). Reference citations within the Abstract are not permitted. This section should provide a concise yet comprehensive summary of the background for the project. An extensive review of the literature is usually not appropriate, and the text should be succinct with no subheadings. Citation of the primary literature is required where appropriate. Sufficient experimental details are required in this section and all experiments involving human participants must be conducted in accordance with principles of the Declaration of Helsinki and approved by the institutional ethics committee. When experimental animals are used, this section must guarantee that the experiments were conducted in accordance with national legislation and associated guidelines and that the procedures were approved by the institutional animal care committee. Full details of any anesthetic or analgesic dose and route of administration must be given. Methods for statistical analyses and any non-standard techniques should be described and justified. Results should be written in clear and concise language. Figures should be used to summarize or illustrate the important findings. Quantitative results illustrated by graphs or tables are encouraged. Subheadings are required in this section. The discussion should deal with the interpretation of the results, accompanied by an assessment of their significance. A repeated description of the results should be avoided and any potential implications of the results should be stated in this section. Acknowledgements should be placed at the end of the text and state the contributions of both individuals and supporting institutions. They should be as brief as courtesy allows. Grant numbers are permissible. Declaration of conflict of interest is required for all papers. In this section, authors should disclose any actual or perceived competing interest that could affect the author’s objectivity, or could influence the content of the article. For "no conflict," a preferred statement is: "All authors claim that there are no conflicts of interest." Place citations as numbers in superscript in the text and follow the style below. “Unpublished data”, “electronic material” or “personal communications” should not be used as references, although written communications may be inserted in the text (in parentheses). Articles in press can be cited with the explicit permission of corresponding author of the study. Authors are responsible for ensuring that the literature is accurately cited and discussed. The titles of journals should be abbreviated according to the “List of Journals Indexed” in Index Medicus. List all the authors up to six, but if the number exceeds six, add “et al.”. Koob GF, Sanna PP, Bloom FE. Neuroscience of addiction. Neuron 1998, 21: 467-476. Ogg S, Paradis S, Gottlieb S, Patterson GI, Lee L, Tissenbaum HA, et al. The fork head transcription factor DAF-16 transduces insulin-like metabolic and longevity signals in C. elegans. Nature 1997, 389: 994-999. Paxinos G, Watson G. The Rat Brain in Stereotaxic Coordinates. 4th ed. San Diego: Academic Press, 1999: 96-101. Figures and Supplementary Figures should be numbered in Arabic numerals consecutively in the order they are mentioned in the text. Each figure must contain a heading. They should be of high quality (400 dpi) in TIFF or JPEG format. Please make sure that the resolution is sufficiently high that once the whole figure is downsized for printing essential details are still visible. Figures should be labeled with upper-case, bold letters (standard fonts such as Helvetica, Times New Roman, or Arial). If figures are divided into parts, each part should be labeled with an upper-case letter. Scale bars should be used and the length of the bar should be defined in the legend. Color figures are welcome. When Figures contain microscopy images, please note that Neuroscience Bulletin prefers the use of colors for color-blind readers such as magenta instead of red. Figure legends should be concise and contain sufficient information for the readers to understand the data in the Figure without going back to the text. All symbols and abbreviations used in the figure should be defined in the legend. Legends should not repeat too many of the experimental details provided in the Materials and Methods section. Legends should be limited to 300 words. Tables should be included in a separate word file and numbered consecutively with Roman numerals (I, II, III, IV,…). Tables should be self-explanatory. A brief descriptive title and footnotes should be provided. Due to space or format constraints, authors may submit additional peer-reviewed materials as supplementary information. These include figures, movies, or tables posted on the journal’s web site and available to the readers upon publication. Legends explaining these results should be included. Supplementary information should help the readers to understand the paper, yet without it the article should be complete and self-explanatory. Please refer to the supplementary items in the main text. Upon peer-review, the authors may be asked to revise the manuscript. If the authors have substantial reasons to believe that their manuscript was treated unfairly, they may appeal for reconsideration. Revision should be completed within four (minor revision) or eight weeks (major revision). The authors should provide a cover letter and point-to-point responses addressing the reviewers’ comments. The editor will notify the corresponding author upon acceptance of the manuscript. Accepted papers will be processed to advanced online publication as soon as possible. If a manuscript is not accepted for publication, it will be returned to the author within 2 months. Rejected manuscripts should not be re-submitted unless substantial changes have been made to the manuscript. A PDF proof will be sent to the authors for the last-minute correction of errors. Page charges for the printed form are as follows: 500 CNY (80 USD) for each text page, 800 CNY (120 USD) for each page containing black-and-white figures, and 1500 CNY (250 USD) for each page containing color figures. The corresponding author will receive an invoice with all the publication-related charges once the manuscript is accepted for publication and enters the editing process. Shanghai Institutes of Biological Sciences, Chinese Academy of Sciences. 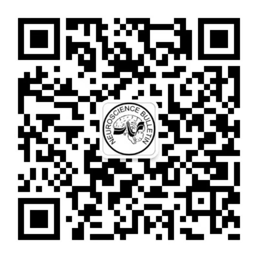 The bank account number is 033924-00801048006, FengLin Department of XuHui Branch, Agricultural Bank of China. Room 405, Building 31B, 319 YueYang Road, Shanghai 200031, China.